Tea for one. All photos by Pauline Chardin. Pauline Chardin's made our 2014 list of 24 Best Travel Blogs and Websites, in part because of her stunning photographs. 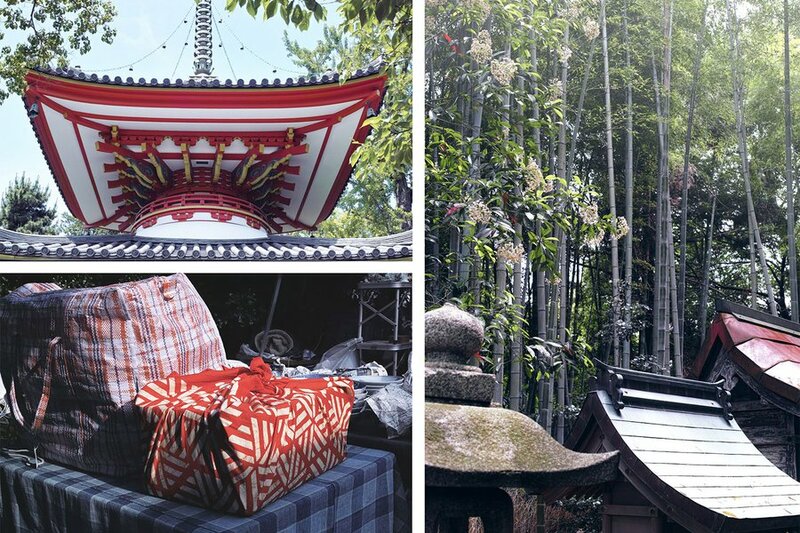 She sent us a few highlights from a recent tour of Japan, and the elegant simplicity and dazzling beauty of every thoughtful detail has us searching for flights right now. JAPAN – I've always wanted to go to Japan. But I was intimidated and postponed the adventure many times. I'm glad I finally found the courage to go. Japan is simply incredible. Each time I look at my folder of photographs, I want to book another trip! It's hard enough to figure out where to begin. We landed in Osaka, stayed there for a few days (and loved the '80s feel of the city), before moving south to Kurashiki, a small historic town close to the Inland Sea. We spent a few days in the mountains near Kaga, we traveled to Kanazawa, and visited the unbelievably cute Japanese Alps before ending our trip in Kyoto. Here are a few of the photographic highlights! We arrived through the Kansai Airport, and Osaka was our first stop. 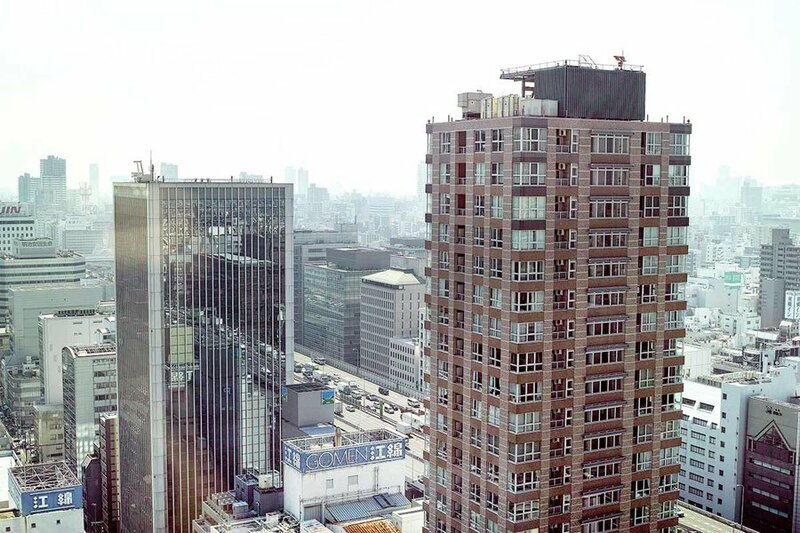 We loved the relaxed vibe of the city and its '80s architecture. This was our first encounter with a Japanese metropolis, and our first time feeling excited, dazzled, and strangely relaxed at the same time. We learned later that Japan has that curious effect on people. 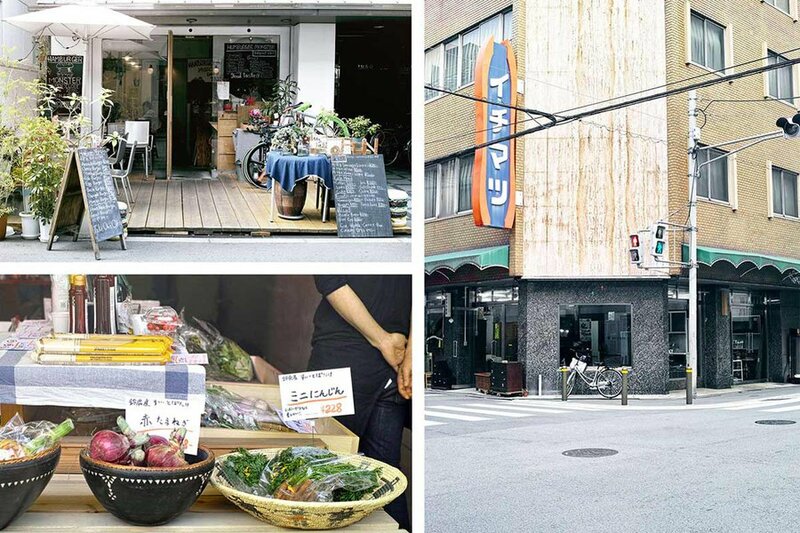 We really enjoyed the cool Osaka neighborhood of Minamihorie, which is filled with cool shops and casual eateries. Make an obligatory stop at and take a minute to watch the crowd passing in front of . 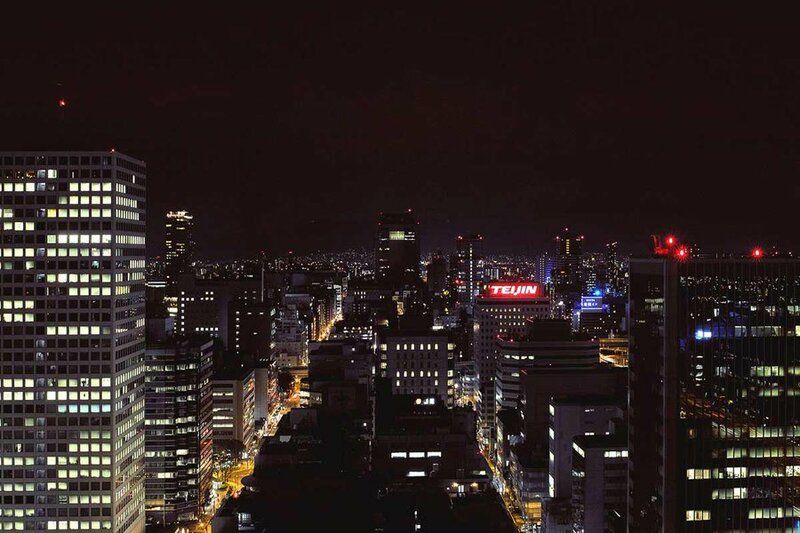 By night, you almost can't recognize the city. Crazy signs light up in the Dotonburi and Souemoncho districts, glitzy towers put on a show, and dark alleys packed with restaurants try to lure you in with scarlet lanterns. We took the train south to the much smaller town of Kurashiki and got our first glimpse of a more traditional Japan. The city is famous for its canal and ancient canalside wooden mansions. 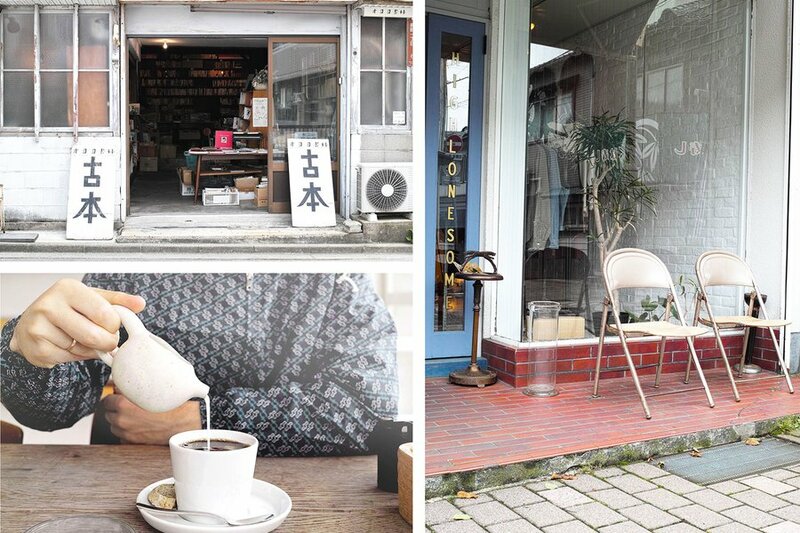 The Japanese passion for craftsmanship really shines through in small towns like this. 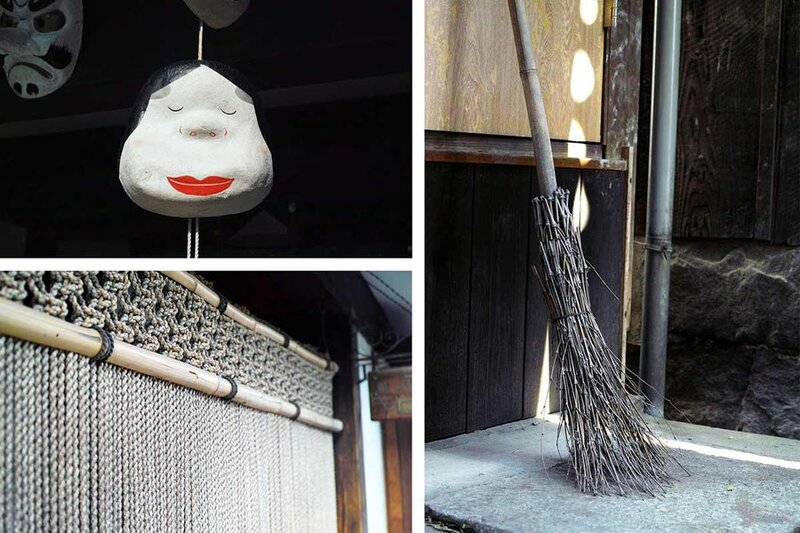 In the old part of Kurashiki there are beautiful details everywhere, and even the most humble broom looks like a testament to Wabi-Sabi (or, imperfect beauty). From Kurashiki, we made a day-trip to the tiny paradise referred to as Tomo No Oura, a small fishing village on the Inland Sea. Experiencing the rural side of the country might just be my best memory of Japan. 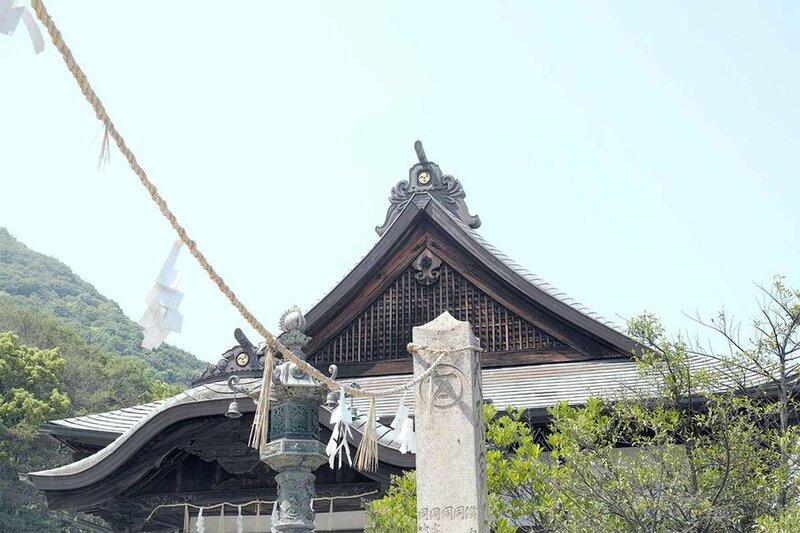 The upper part of the village is dotted with gorgeous wooden temples hidden in the green hills. As if the jaw-dropping sea views weren't enough! 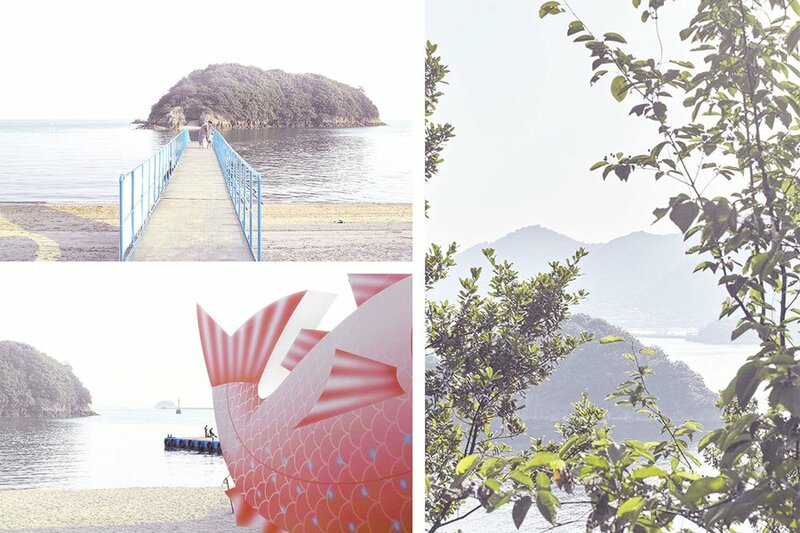 From Tomo No Oura you can take a ten-minute ferry to the tiny heaven off Sensui Jima Island. 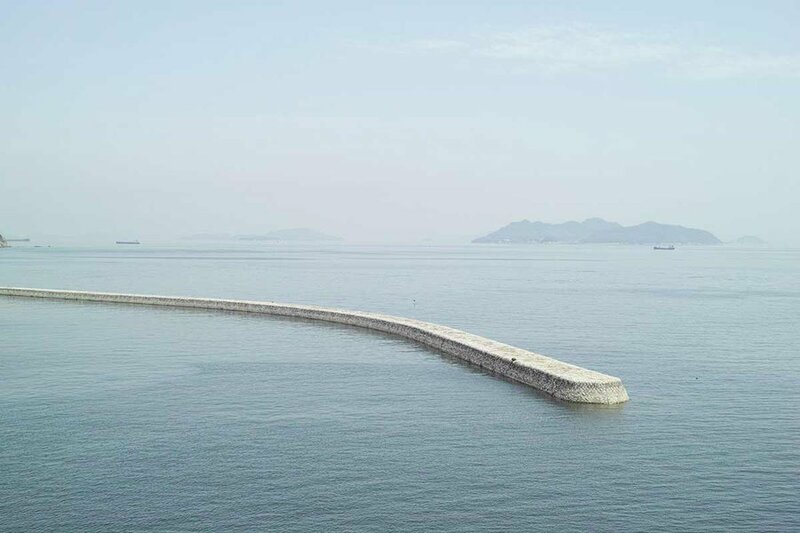 Since it’s a National Park, there are barely any buildings, so feel free to walk around and enjoy its pristine nature, tranquil beach, and delightful views. Sitting by the giant fish and listening to the xylophone tune is also an option. We took the train North, up to Yamashiro, a small spa-town in the hills. 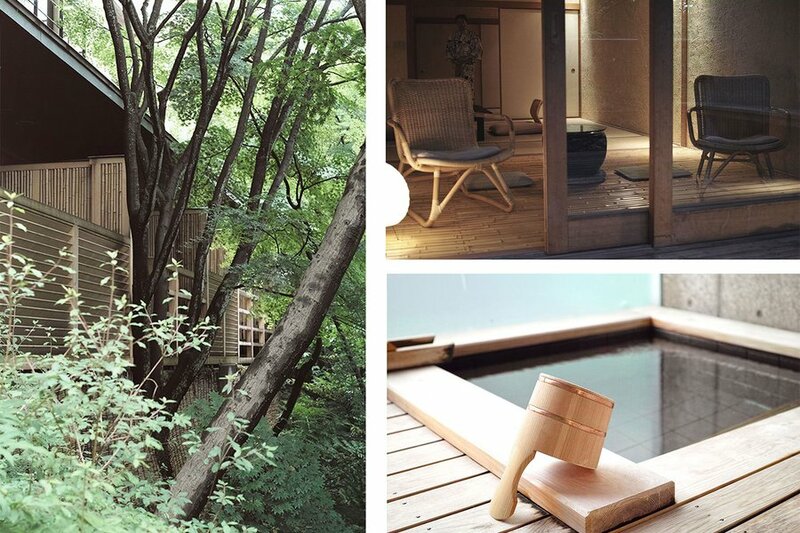 We checked into , a contemporary take on the traditional ryokan. Private hot spring, out-of-this-world shiatsu, perfect service, and fabulous food were waiting for us there. It's a miracle we found the willpower to leave. Craftsmanship is taken very seriously in Japan. Once you’ve decided on a livelihood, the thinking goes, you might has well become a master. 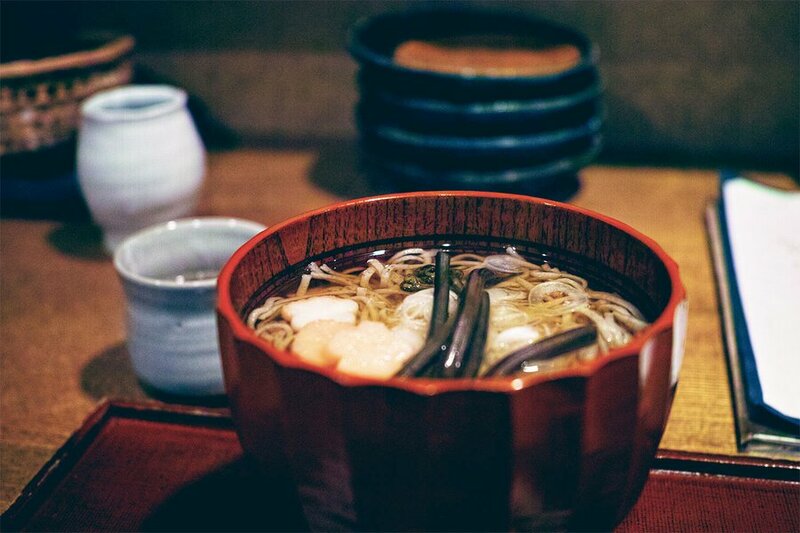 At the very special Yamade, in Yamashiro, they make one thing and one thing only: buckweat noodles called soba. They serve a legendary bowl. A little bit above Yamashiro, facing the Japan Sea, is Kanazawa, the one they call the little Kyoto. With one of the most beautiful gardens of Japan, a great contemporary art museum, a charming Geisha quarter, and cool shops south of the Kenrokuen, the city is more than worth the detour. 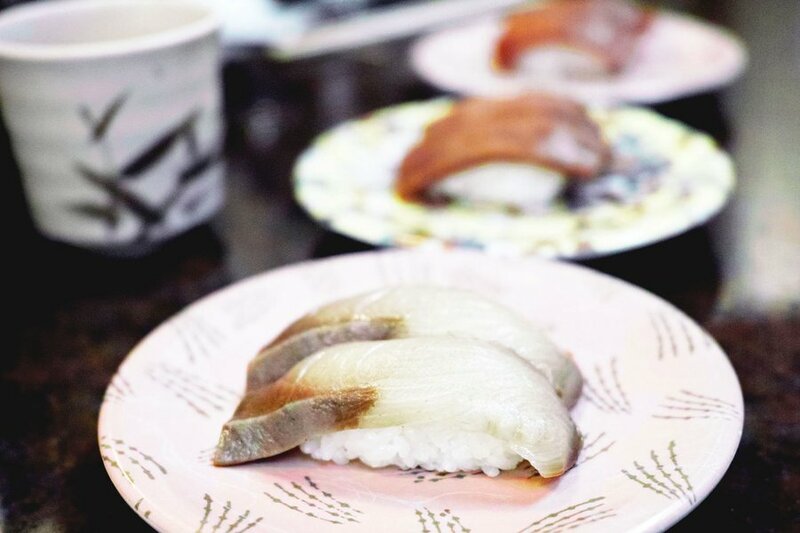 If you don’t speak Japanese and you’re not ready to spend a small fortune, chances are the high-end sushi restaurants are not really for you. That’s one more reason to go to Kanazawa and head to in the middle of the market, where fish could not be any fresher. Don’t expect to see tourists there, but prepare yourself for quite a treat! The is surely something, but the freshly renovated Shigure-Tei teahouse at the entrance is a marvel in itself. Did you know about the Japanese Alps? They're as cute as cute can be. I’m talking thatched roofs, farms, clear streams, wild flowers, and foxes straight out of a Ghibli movie. 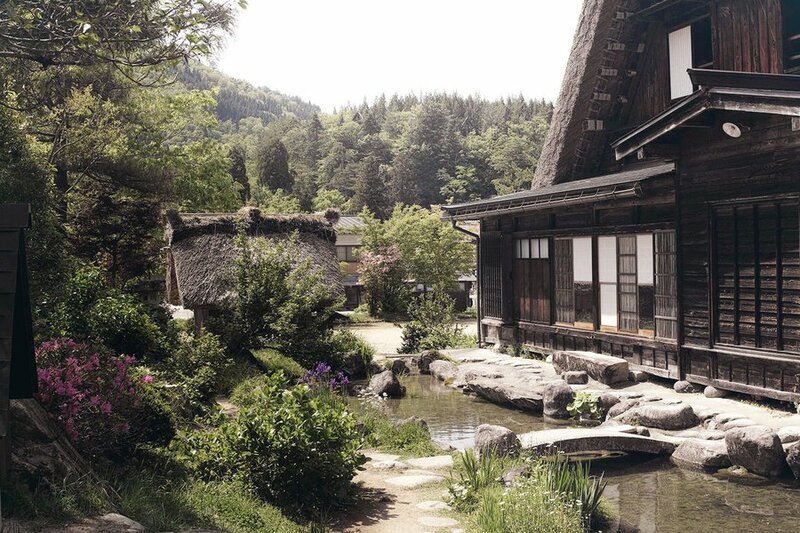 In the small village of Shirakawago you can stay in a traditional minshuku, a farm converted into a B&B. 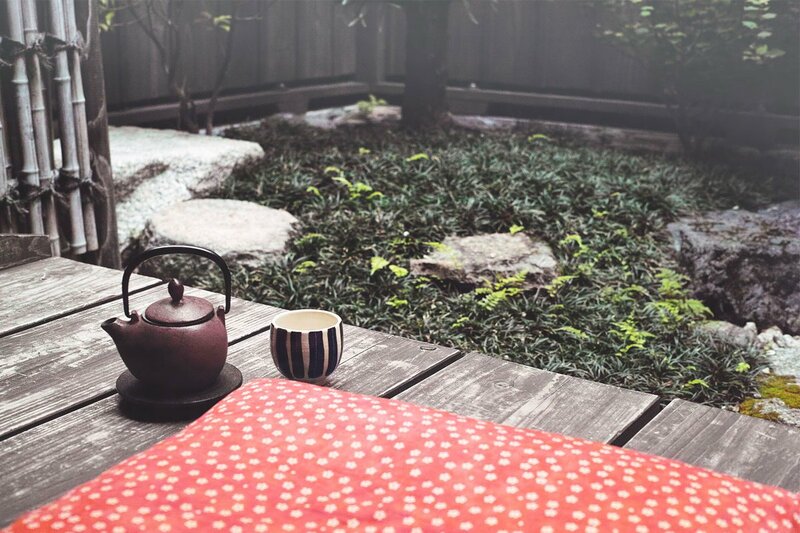 Expect colorful yukatas, night trips to the onsen, and miso for breakfast. Our trip ended in Kyoto, which is a bit of a wonderland of Japanese traditions: a myriad of temples and gardens, flea markets, antique stores, and precious crafts. Unfortunately, crowds of tourists are also part of the package, so don’t hesitate to go off-the-beaten path if you want to enjoy the city's refined treasures in the quiet atmosphere they deserve. 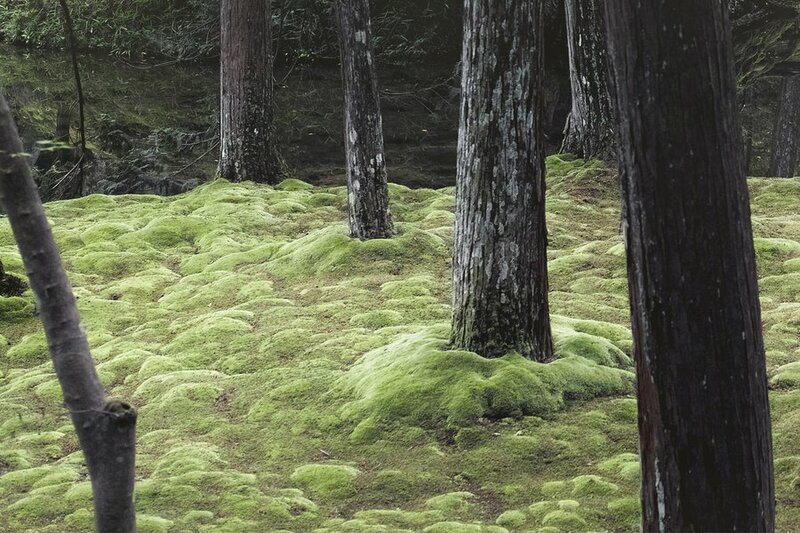 The world-famous moss temple is not an easy-to-reach attraction. Securing a ticket involves sending a written request to the monks and getting there requires a good hour-long bus ride. It’s well worth it, and it you’re smart you'll make a detour to the neighboring bamboo temple afterward. 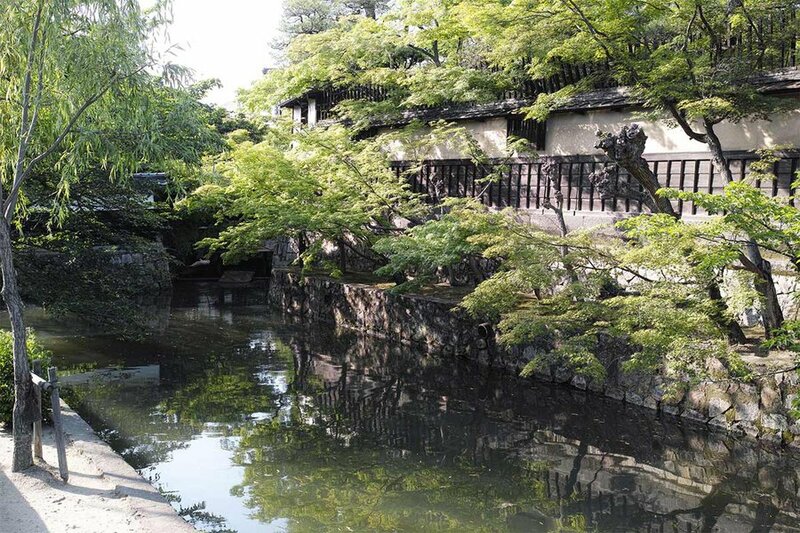 This will allow you to get your bamboo fix while avoiding the crowds of Arashiyama. 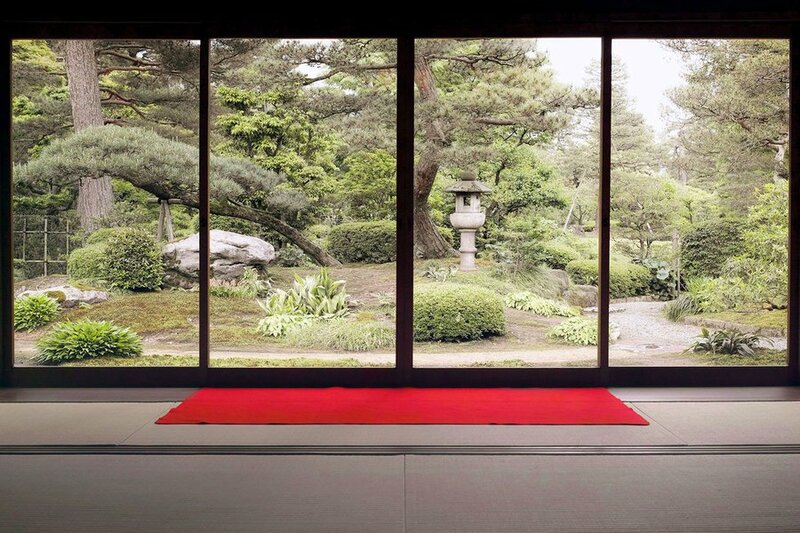 Kyoto is one of the rare places in Japan where you can rent a machiya, a traditional wooden house, and enjoy having your very own paper sliding doors, inside garden, and tatamis. Here's to livng the Japanese dream!